Learn to make jewelry with Sharon Zimmerman at her Downtown San Francisco Studio. Take an existing class or develop your own project. Want to find out why so many of us are obsessed with making jewelry? 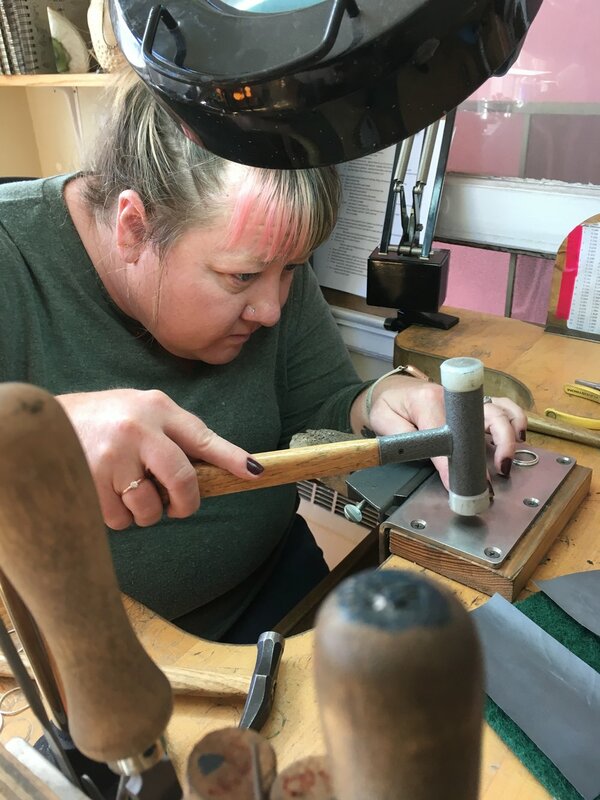 Spend a whole day or just an afternoon learning the skill and art of making jewelry with designer and metalsmith Sharon Zimmerman. You’ll get one-on-one attention and tons of hands-on time in a warm, intimate and inclusive space. Learn how you can bring your jewelry ideas from the sketchbook to reality. By the end of our session, you’ll leave with your very own finished piece of jewelry to keep for yourself, or give to someone you love. Choose from existing classes or develop your own! Are you a business who would like to host a jewelry-making session for your employees? Fill out the contact form and I will get back to you with a quote for you and your team.